Peter Strzok told Congress in 2018 that he deleted communications with Lisa Page, but he claimed he did so for “personal” reasons. An attorney for Strzok says that the former FBI official deleted the records before he was removed from special counsel Robert Mueller’s Russia team. Strzok testified he was asked to review his personal phone and email accounts for any work-related documents. He said he conducted a search of those devices but found no FBI materials on them. 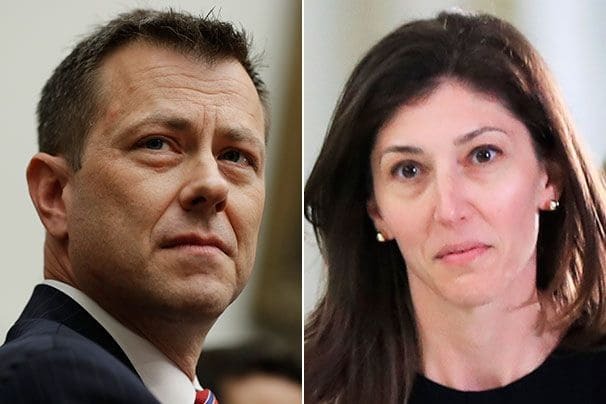 Former FBI official Peter Strzok told Congress in 2018 that he deleted “personal” communications he had with his mistress, former FBI attorney Lisa Page. “As a fact of the matter, following the — at some point, I — you know, it was related to personal reasons — deleted all those,” Strzok told lawmakers on June 27, 2018, according to a transcript of the testimony released Thursday. “But they were the personal communications, not the work ones,” added Strzok, who acknowledged having an extramarital affair with Page. Aitan Goelman, an attorney for Strzok, told The Daily Caller News Foundation on Thursday that Strzok deleted the messages before he was removed from the Mueller team. “Pete deleted personal communications from his personal iPhone before and unrelated to these investigations,” said Goelman, who added in a follow-up comment that the deletions were made prior to July 27, 2017, when Strzok was kicked off the Mueller probe. Goelman did not provide a specific date for the deletions. Strzok, who was fired from the FBI in August 2018, said he had been contacted by the Justice Department’s Office of the Inspector General (OIG) to provide any work-related communications he had on his personal cellphone and email accounts. As deputy chief of FBI’s counterintelligence division, Strzok oversaw the Trump-Russia investigation, dubbed Crossfire Hurricane. He also played a leading role in the Hillary Clinton email investigation, which focused on whether the 2016 presidential candidate mishandled classified information on her private email server. One issue that arose during that investigation was Clinton’s decision to delete around 30,000 emails that she deemed to be personal in nature. The former secretary of state provided another 30,000 emails to the State Department in December 2014. Republicans have asserted that Clinton may have deleted work-related emails as well from her server, which was housed at her private residence in New York. In the case of Strzok and Page’s personal communications, the OIG made the request after finding the pair had exchanged anti-Trump text messages on their FBI-issued cellphones. Strzok was removed from the special counsel’s team after Michael Horowitz, the inspector general, told special counsel Robert Mueller about the texts. He made it clear in his testimony that he was allowed to conduct the search on his own, without the involvement of the FBI or OIG. 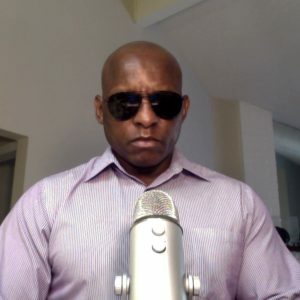 “Just to clarify, we were asked to provide any work-related communications on Special Agent Strzok’s personal devices. And he reviewed and found that there weren’t any, and we told the IG that. We have not agreed, nor do we agree now, to open up all of Special Agent Strzok’s personal communications on his personal devices to the committee or anybody,” Goelman said. Strzok also said that he was unaware of any attempts by the OIG or FBI to use subpoenas to obtain his personal communications. The Strzok-Page texts were discovered during an investigation of the FBI’s handling of the Clinton email investigation. The messages showed that Strzok and Page exchanged disparaging remarks about President Donald Trump. They also discussed aspects of “Crossfire Hurricane,” the FBI counterintelligence probe of the Trump campaign. In one text on Aug. 8, 2016, Strzok told Page that “we’ll stop” Trump from becoming president. In a text message a week later, he discussed an “insurance policy” that the FBI should take out in the event of a Trump election victory. 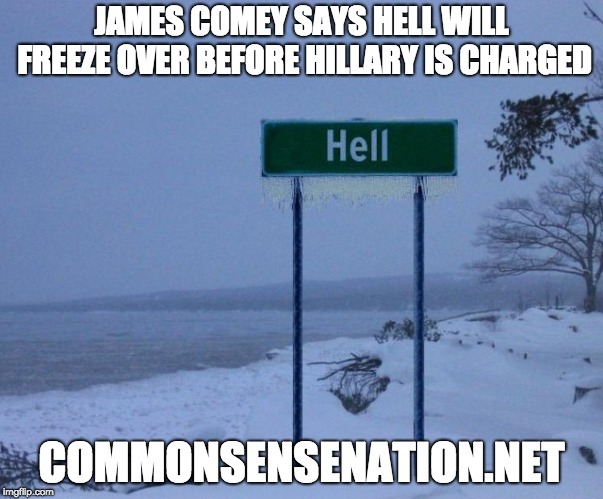 James Comey Says Hell Will Freeze Over Before Hillary Clinton Is Charged For Her Emails. The man who accused former Secretary of State Hillary Clinton of being “extremely careless” with her use of email servers reportedly says there is “zero chance” she will ever be charged for it. Former FBI Director James Comey repeated that claim twice in a Sarasota, Fla. town hall Monday, according to the Washington Examiner. But a federal court recently asserted that Clinton must answer more questions about her emails. Comey has never approved of Clinton’s choice of a private email server and even admitted at a July 2016 news conference that someone of less political stature than the former first lady might be charged. “To be clear, this is not to suggest that in similar circumstances, a person who engaged in this activity would face no consequences,” he said at the time. While continuing to provide assurance for Clinton, Comey lashed out at President Donald Trump, saying he was “one of the worst listeners as a leader,” Fox 13 reported. Comey, who continues to tour the country promoting his book, “A Higher Loyalty,” portrayed himself as a reluctant warrior for political independence, claiming he really eschews the spotlight. I bet you are shocked right? The Justice Department and FBI have missed a Wednesday deadline to provide information about the government’s mysterious raid on a former FBI contractor-turned-whistleblower’s home last month. Sixteen FBI agents on Nov. 19 raided the home of Dennis Nathan Cain, who reportedly gave the Justice Department’s Inspector General (IG) documents related to the Uranium One controversy and potential wrongdoing by former Secretary of State Hillary Clinton. The documents in question allegedly showed that federal officials failed to investigate possible criminal activity related to Clinton, the Clinton Foundation and Rosatom, a Russian nuclear company. Its subsidiary purchased Canadian mining company Uranium One in 2013. Senate Judiciary Committee Chairman Chuck Grassley, R-Iowa, whose panel has oversight of the Justice Department, penned a letter to FBI Director Christopher Wray and Justice Department IG General Michael Horowitz, requesting information on the justification for the raid. Grassley gave Wray and Horowitz until Dec. 12 to respond to his request. That deadline has come and gone, and neither the FBI nor DOJ has produced any documents or response. “We have not yet received answers to the chairman’s questions on this matter,” a Judiciary Commitee spokesperson told Fox News late Thursday. The FBI consistently has refused Fox News’ request for comment on the whistleblower raid and the Judiciary Committee’s requests. On Thursday, an FBI spokesperson told Fox News the agency would respond only to inquiries from the entity that requested the documents — in this case, the Judiciary Committee. Questioning whether “we now live in a secret police state,” Cain took his frustration about the situation to Twitter earlier this week. “So I blow the whistle on the FBI, get raided by the same FBI, and now they want to keep the FBI’s reasons secret? Do we now live in a secret police state? 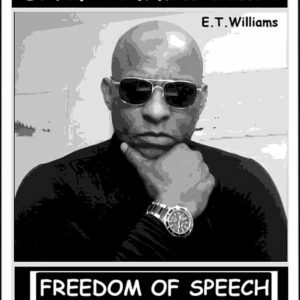 Feels a little like 1984,” Cain tweeted late Monday. The tweet eventually was deleted. A spokesperson for U.S. Attorney for the District of Maryland Robert K. Hur declined to comment. Cain’s lawyer, Michael Socarras, told The Daily Caller the agent who led the raid accused his client of possessing stolen federal property. In response, Cain reportedly claimed he was a protected whistleblower under federal law, and said he was recognized as such by Horowitz. Socarras also claimed Horowitz had transmitted information on the sale of Uranium One to a Russian firm’s subsidiary to both the House and Senate intelligence committees. The bureau refuses to release 37 pages of new documents related to the controversial deal; reaction and analysis from Fox News contributor Jason Chaffetz, former Republican congressman from Utah. A spokesperson for the inspector general declined to comment. “As frustrating and violating as this feels to me and my family. I will continue to put my trust in God. Some day this life will pass away. I will stand before my maker with a clean concience[sic] and Jesus as my defender. Until then I continue to fight the good fight with God’s help,” Cain tweeted Monday night. Fox News has previously reported that Douglas Campbell, an FBI informant involved in the Uranium One deal, has testified to lawmakers that Moscow paid millions to American lobbying firm APCO Worldwide to influence Clinton and the Obama administration. APCO has denied Campbell’s claims while Clinton called any claims of wrongdoing related to the Uranium One deal “the same baloney they’ve been peddling for years, and there’s been no credible evidence by anyone. 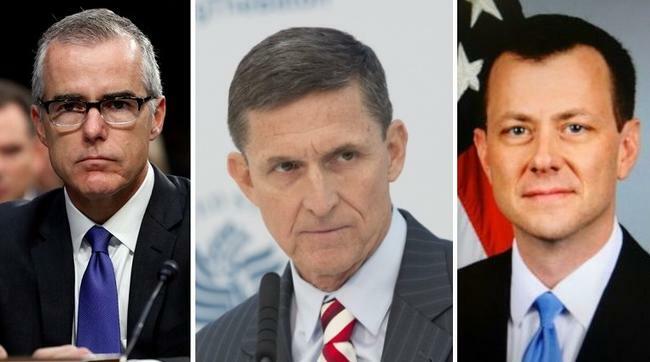 Separately, the DOJ and Special Counsel Robert Mueller face a Friday afternoon deadline to turn over documents related to their questioning of fired National Security Adviser Michael Flynn. Flynn’s team has alleged the FBI pressured him not to have a lawyer at the White House meeting in January 2017, after which Flynn was charged on one count of lying to federal authorities. Flynn — who had to sell his house this year amid mounting legal bills — later pleaded guilty to lying to agents about a conversation he had with the Russian ambassador in December 2016 about sanctions that had recently been imposed by then-President Barack Obama. Flynn has since acknowledged seeking to convince Russia not to retaliate for those sanctions during the presidential transition period. But Flynn’s lawyers, in an explosive Tuesday court filing that threatens to upend his pending sentencing, charged that the FBI had not finalized their pivotal, and only, account of Flynn’s statements until August 2017 — nearly eight months after their interview with him. Fired FBI Director James Comey has since admitted the Flynn meeting broke normal agency protocol. The Office of the Special Counsel deleted text messages from the iPhone of fired FBI agent Peter Strzok before turning it over to the Department of Justice Office of the Inspector General (OIG), according to a report released by the federal watchdog. 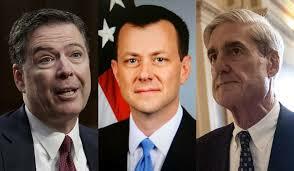 On Thursday, the Justice Department’s inspector general released a report stating thousands of text messages exchanged between Strzok and FBI attorney Lisa Page could not be recovered after Mueller’s team wiped clean the phones it had issued them. So Mueller’s team wiped ALL of the data off of Peter Strzok’s iPhone after determining “it contained no substantive text messages.” Given what we know about Strzok, this smells like quite the coverup. Time for Congress to step in? “SCO’s Records Officer told the OIG that as part of the office’s records retention procedure, the officer reviewed Strzok’s DOJ issued iPhone after he returned it to the SCO and determined it contained no substantive text messages,” the watchdog report reads. As Conservative Review national security reporter Jordan Schachtel first discovered, the OIG said Strzok’s cell phone was “reset to factory settings,” deleting all data stored on the device. The federal watchdog said in the report it found “no discernible patterns” about the content of thousands of messages the FBI was able to recover between Strzok and Page. 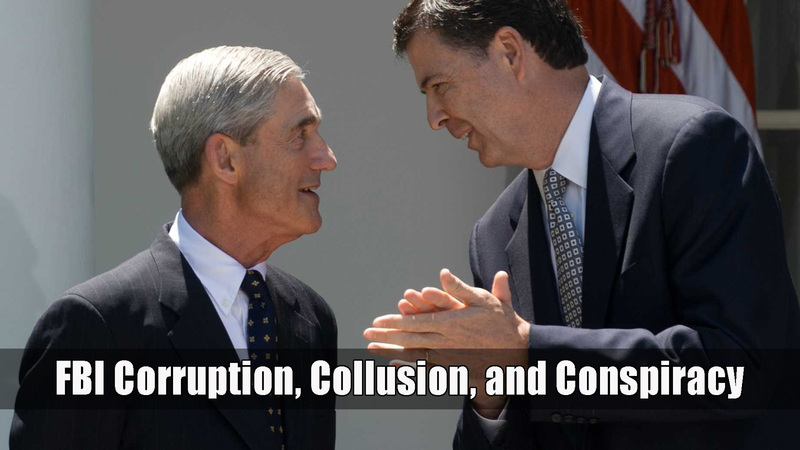 Both have been part of Mueller’s investigation of possible collusion between the Trump campaign and Russia. Strzok and Page testified before Congress this summer, and the former FBI agent admitted that he had not turned over all of his communications with Page to the Inspector General from his personal phone, even though their recovered conversations showed the two suggesting they move to apps like iMessage or Gmail. Strzok told outgoing Rep. Darrell Issa (R-CA) that it is a “safe assumption” that he sent messages to Page from his personal phone that were similar in nature to the widely-publicized messages attacking Trump supporters. He told House Judiciary Chairman Bob Goodlatte (R-VA) that he himself determined which messages on that phone were “relevant to FBI business” that the Inspector General could review. At that time of their exchanges, the FBI was investigating whether former secretary of state and then-presidential candidate Hillary Clinton improperly used a private email account while she was Secretary of State. Strzok, a senior counterintelligence agent, was assigned to the case, as was Page. Reports claimed the two were romantically involved during this time. Strzok was ultimately fired after anti-Trump text messages between him and Page were discovered by the special counsel. Thursday’s report said the FBI used special software to collect more than 20,000 text messages from the pair’s phones, but not all were sent between Strzok and Page. Investigators have already released some of the controversial texts, including a message from Strzok saying he would “stop” President Donald Trump from winning the election. Missing text messages from the pair’s iPhones, though, continue to elude the FBI. Flynn should have known better. He is a scumbag anyway with his Turkish connection. Andrew McCabe urged Michael Flynn to meet with FBI agents without White House attorneys present, according to a court filing submitted Tuesday in the special counsel’s probe. McCabe and other FBI officials also decided not to provide a warning to Flynn about penalties regarding lying to the FBI. Just days into President Donald Trump’s tenure, then-FBI Deputy Director Andrew McCabe urged then-national security adviser Michael Flynn to meet with two FBI agents without White House lawyers present, claiming that a limited meeting would be the “quickest” way to have a conversation about Flynn’s discussions weeks earlier with Russia’s ambassador. As if that scenario was not fraught with enough legal landmines, Flynn was also not warned by the two agents he met with about the penalties for lying to federal investigators. That’s because McCabe and other FBI officials decided before the fateful Jan. 24, 2017 meeting that “they wanted Flynn to be relaxed.” The officials “were concerned that giving the warnings might adversely affect the rapport” between Flynn and his FBI interlocutors. Those revelations are tucked into a 178-page filing that Flynn’s lawyers submitted on Tuesday in the special counsel’s investigation. While Flynn’s lawyers said in the filing that he is remorseful for lying to the FBI during that Jan. 24, 2017 meeting, the activities of McCabe and the FBI agents who interviewed Flynn are sure to generate outcry about overreach in the Russia investigation. Flynn’s supporters have noted that McCabe and one of the FBI agents, Peter Strzok, have run into ethical and legal problems of their own. According to the filing, McCabe wrote in a memo just after arranging the White House visit that he suggested to Flynn that attorneys stay out of the interview in order to save time. “I explained that I thought the quickest way to get this done was to have a conversation between [General Flynn] and the agents only,” McCabe wrote. Flynn went along with McCabe’s suggestion, telling McCabe that involving White House lawyers “would not be necessary.” He agreed “to meet with the agents without any additional participants,” according to McCabe. Less than two hours after that conversation, Peter Strzok, the FBI counterintelligence official leading the Russia probe, visited Flynn along with another FBI agent. According to notes cited by Flynn’s lead attorney, Robert Kelner, one of the two FBI interviewers noted that Flynn was “relaxed and jocular” during their session. The agent said that Flynn appeared to treat the FBI agents as allies. Seemingly acting on instructions from FBI brass, “the agents did not provide General Flynn with a warning of the penalties for making a false statement under 18 U.S.C. § 1001 before, during, or after the interview,” Kelner writes. Flynn has since acknowledged giving false statements during that interview. He pleaded guilty on Dec. 1, 2017 to lying to the FBI agents about conversations he had in December 2016 with Russian ambassador Sergey Kislyak. Flynn’s lawyers are seeking no jail time for the former lieutenant general, a request that is in line with prosecutors’ recommendation in a filing submitted on Dec. 4. Special counsel Robert Mueller in that filing cited Flynn’s “substantial assistance” in three separate investigations. The lawyer appeared to be referencing the firestorm surrounding McCabe and Strzok. McCabe was fired on March 16 after the FBI’s personnel office and Justice Department inspector general determined that he made misleading statements under oath about authorizing leaks to the media in October 2016 regarding an investigation into the Clinton Foundation. Prosecutors are reportedly pursuing a case against McCabe. Strzok was removed from the Mueller investigation in July 2017 and fired from the FBI on Aug. 13 of this year because of anti-Trump text messages he exchanged with his mistress, FBI lawyer Lisa Page. Kelner noted that Flynn met with the special counsel’s office five times before entering his plea deal on Dec. 1, 2017. 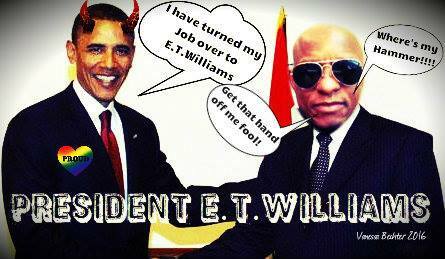 He had 14 more meeting with prosecutors after striking the agreement. The filing did not address other legal issues Flynn has faced. As part of his plea deal, Flynn acknowledged making false statements when he registered with the Justice Department as a foreign agent of Turkey for consulting work he did during the campaign. Flynn’s plea deal protected him from being prosecuted by the special counsel for his Turkish lobbying. Prosecutors in Virginia are investigating some of Flynn’s former business partners. 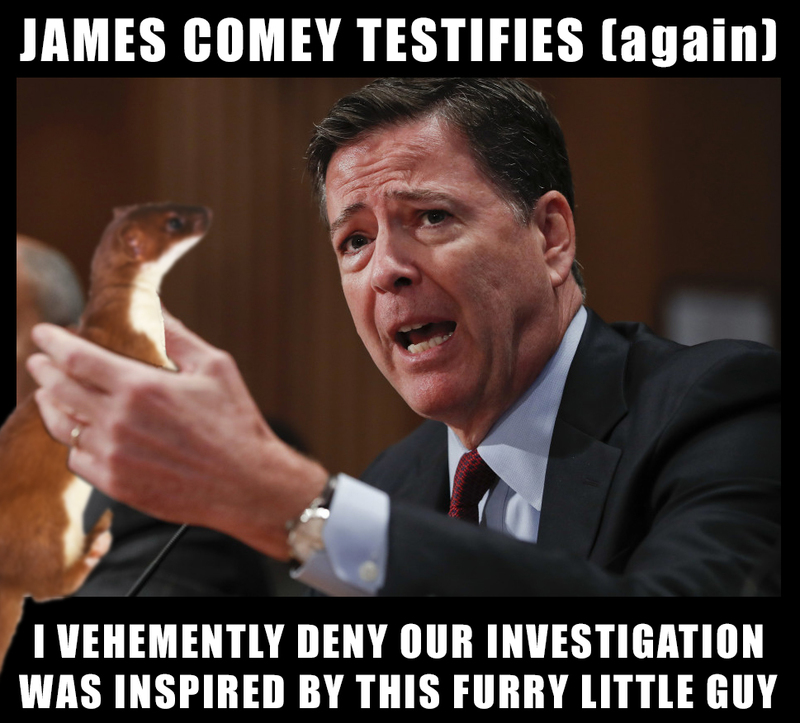 James Comey Testified Again And Again He Lied: LOCK HIM UP DAMIT! What a POS this fraud is. Former FBI Director James Comey revealed in closed-door testimony with House Republicans on Friday that he deliberately concealed an explosive memorandum about his one-on-one Oval Office meeting with President Trump in February 2017 from top Department of Justice officials. His remarks square with testimony this summer from former FBI lawyer Lisa Page, whose anti-Trump texts became a focus of House GOP oversight efforts. Page told Congress in a closed-door deposition that “even as far as May 2017” — more than nine months after the counterintelligence probe commenced — “we still couldn’t answer the question” as to whether Trump staff had improperly colluded with Russia. Comey further testified on Friday that he and his aides were “all very concerned” about how the president had spoken of the probe into fired National Security Adviser Michael Flynn in a private Oval Office meeting, according to a 235-page transcript of his remarks released as a part of an agreement between House Republicans and Comey. Former FBI Director James Comey testifies in closed-door interview on the Hill; chief intelligence correspondent Catherine Herridge reports. The fired FBI director wrote in his memorandum that Trump had told him, “I hope you can let this go,” amid reports that Flynn had lied to the FBI and senior White House officials about his contacts with Russia’s government. But despite that concern, Comey told Rep. Jim Jordan, R-Ohio, that he and his team made a “judgment call” not to tell then-Attorney General Jeff Sessions or his lieutenants about Trump’s comments, saying he thought Sessions would recuse himself “in a matter of days” from the Russia probe. “We agreed that we ought to hold it very close, not brief the investigative team at this point and not go over and talk to the leadership of the Department of Justice, to hold onto it until we got a new deputy attorney general and they sorted out how they were going to supervise the Russia investigation,” Comey said. Deputy Director Andrew McCabe, who was later fired for leaking a self-serving story to the press and lying about it to Comey and federal investigators, was among the brain trust Comey sat down with to discuss his options. The two were joined, Comey said, by then-FBI General Counsel James Baker and Comey’s chief of staff, James Rybicki. Comey told lawmakers that others may have been present as well, including FBI Deputy Director David Bowdich (who was an associate deputy director at the time), National Security Branch Executive Director Carl Ghattas, and FBI counterintelligence head Bill Priestap, who recently announced he would leave the agency by year-end. 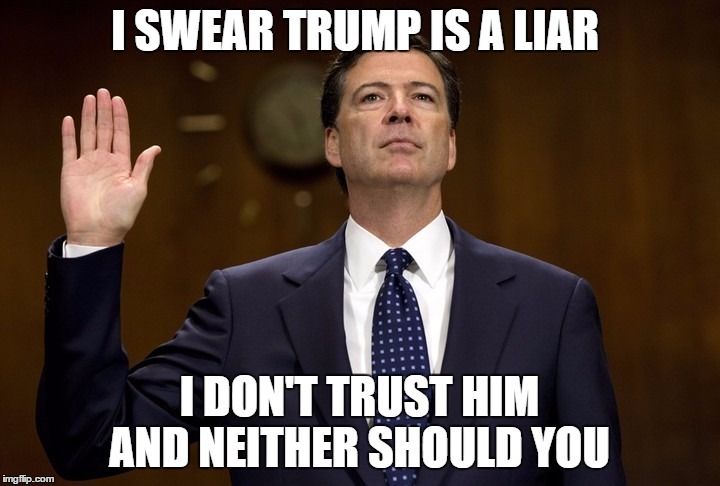 Comey said that he did not believe anti-Trump FBI Agent Peter Strzok or former FBI lawyer Lisa Page were in the room. Sessions recused himself from Russia-related matters shortly afterward, in early March 2017 — a decision that Trump has since called a “terrible mistake,” although it was recommended by career Justice Department officials in part because Sessions had met with Russian dignitaries while assisting with the Trump campaign. But Jordan pressed Comey on why he decided not to tell the next-in-command at the DOJ. Lawmakers release transcript of testimony from former FBI Director James Comey; reaction from Rep. Jim Jordan, Republican member of the House Judiciary and Oversight Committees. “I don’t know who was No. 3 at that point,” Comey responded. “There was an acting — there was a U.S. Attorney acting as the deputy attorney general, who we knew would be in the seat only until Rod Rosenstein was confirmed,” he added, in an apparent reference to former Acting Deputy Attorney General Dana Boente, who served until Rosenstein took the job in April 2017. But unredacted sections of Comey’s other memoranda documenting his conversations with Trump apparently demonstrate that he later did inform Boente and other top DOJ officials about other sensitive matters concerning his conversations with the president. In a call from the White House that day, Comey wrote that Trump had asked him “several times” to “find a way to get out” to the public that he was not actively under investigation as part of the ongoing federal probe into possible Russia collusion with his team. Comey assured Trump, and congressional leaders, that the president was not being investigated at the time. The transcript reveals lawmakers’ frustration with his lack of specifics. Asked if he recalled who drafted the FBI’s “initiation document” for the July 2016 Russia investigation, Comey said, “I do not.” He again claimed not to know when asked about the involvement in that initiation of Peter Strzok, whose anti-Trump texts later got him removed from the special counsel’s probe. 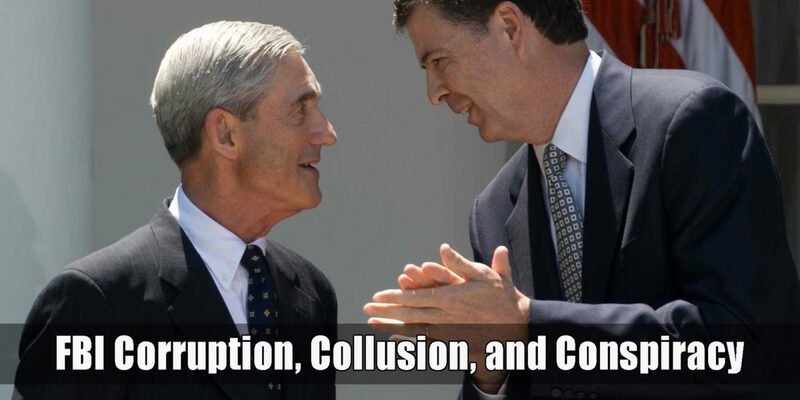 When asked if the FBI had any evidence that anyone in the Trump campaign conspired to hack the DNC server, Comey gave a lengthy answer referring to Special Counsel Robert Mueller’s investigation as to why he couldn’t answer. But there was a time when Comey, by his own accounting, didn’t think of himself as the kind of person who would leak information behind the president’s back. 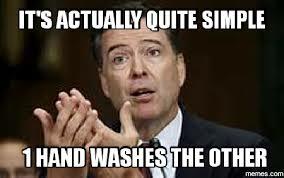 In testimony to the House Judiciary Committee on Friday, Comey described an effort “to try to replicate, either rule in or rule out, as much of that collection of reports that’s commonly now called the Steele dossier as possible, and that that work was ongoing when I was fired.” Trump dismissed Comey from the FBI on May 9, 2017. A transcript of Comey’s testimony was released on Saturday. During one exchange with lawmakers, Comey said that FBI efforts to probe the dossier given to the agency by former British spy Christopher Steele started “sometime in ’16” almost immediately after Steele provided the charges. The timing is instructive. In previous testimony, Comey admitted that he pushed back against a January 2017 request from President Donald Trump to possibly investigate the origins of the claims made inside the Steele dossier. Comey’s latest testimony shows that even while he was cautioning Trump against ordering a probe of the dossier claims, Comey’s own FBI was quietly conducting an ongoing investigation into the wild content of that very dossier. During prepared remarks for the Senate Select Committee on Intelligence, delivered on June 8, 2017, Comey related how he pushed back against a suggestion from Trump to investigate the dossier claims. It is clear Comey was referring to the dossier since he writes the “salacious and unverified” material was about to be publicly reported by the news media. Four days after that briefing, the dossier was published by BuzzFeed. He said he had nothing to do with Russia, had not been involved with hookers in Russia, and had always assumed he was being recorded when in Russia. In a private White House dinner with Trump on January 27, Comey says the topic of the “salacious material” again came up and he reveals that Trump was considering asking the FBI to investigate the origins of the claims. Comey pushed back against that idea. The Steele dossier was reportedly funded by Hillary Clinton’s 2016 presidential campaign and the Democratic National Committee (DNC) via the Perkins Coie law firm. A House Intelligence Committee memo released last February documented that as FBI director, Comey signed three FISA applications to spy on former Trump adviser Carter Page with the dossier serving as part of the basis for the warrant requests. Comey signed the applications without telling the FISA court that the dossier was financed by Trump’s primary political opponents, the memo related. “Neither the initial application in October 2016, nor any of the renewals, disclose or reference the role of the DNC, Clinton campaign, or any party/campaign in funding Steele’s efforts, even though the political origins of the Steele dossier were then known to senior and FBI officials,” the memo states. The GOP memo also relates that after Steele was terminated months earlier as an FBI source a “source validation report conducted by an independent unit within FBI assessed Steele’s reporting as only minimally corroborated.” Still, Comey saw fit, according to the Republican and Democrat memos, to utilize the dossier in the FISA documents. He also briefed Trump and then-President Barack Obama on the dossier contents.